The panel show, an icon of early television, was a purely American invention, yet somehow it's become deeply associated with modern British TV. Here's why. Hey guys, Ernie here with another piece from Andrew Egan about something nerdy and televised, two things we do well here at Tedium. (His last piece was a daily one about Beer Nuts.) Read on for more! Today’s GIF is from Would I Lie To You, and features comedian Lee Mack riding a little pink bicycle. 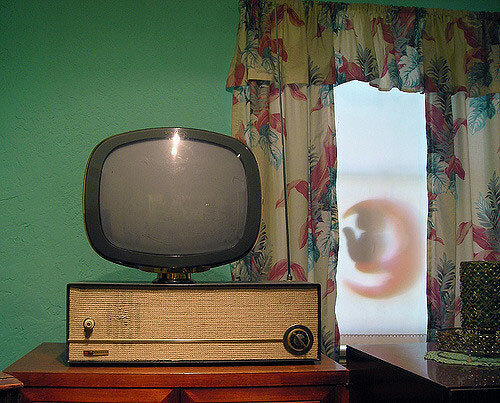 Much like old school cathode ray tubes (CRTs), television programming took a long time to warm up. The first TV broadcasts were only capable of really primitive images, such as still logos, wind up toys in motion, or black silhouettes of motion pictures. Sound wasn’t always used or available. Television technology slowly improved but by the end of the 1940s, only 40,000 Americans had a TV set in their home with more than 75 percent of those concentrated in New York City. The post war years would prove to be prime time for television. The early 1950s saw an explosion in American manufacturing, bringing a wide range of new appliances to households. Microwaves, dishwashers, and television sets became the new standard of the emerging middle class. These appliances also spurred the creation of new, specifically designed products, like frozen dinners, concentrated dish soap, and TV shows. In the early days, TV shows largely mimicked the programming already being offered by the radio broadcasters that owned the networks. The result was a lot of news, some game shows, TV adaptations of soap operas, and panel shows. A whole lot of panel shows. The number of seasons of the panel show To Tell the Truth that have aired on a broadcast network over the past 70 years. One of the more popular American panel shows, To Tell the Truth challenged a panel of celebrity guests to determine which of three challengers is actually telling the truth about their identity. Celebrities appearing on the show included Desi Arnaz, Lucille Ball, and Betty White. 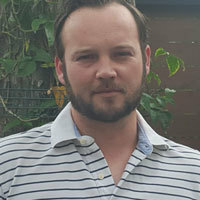 Over the shows long run, even notable people appeared as challengers, including Frank Abagnale Jr, the FBI agent that caught John Dillinger, and legendary humorist Henry Morgan. Panel shows look kinda like game shows, but they’re not. Why is that? The primary distinction between a panel show and a game show is the participation of celebrities and they don’t win prizes. Panel shows were staples of radio programming both in the United States and United Kingdom. As production companies faced increasing demand for TV programming, panel shows made their way to New York production stages. Panel shows, like game shows, have a format that guides each episode. In the 1950s, panel shows challenged celebrities to interrogate guests, play charades, and answer trick questions. Arguably the most iconic panel show of the era was To Tell the Truth, which used the “imposter” format to stump comedians, actors, and the occasional newspaper columnist. This show featured a wide variety of interesting guests, including an appearance by Dr. Seuss, the inventor of Monopoly, and the sculptor of Mt. Rushmore. The success of “imposter” panel shows led to imitators, like I’ve Got a Secret, which once featured the last remaining witness to the Lincoln assassination. To Tell the Truth is an interesting marker for the popularity of American panel shows, airing continuously from the 1950s to today. The show’s original run ended in the 1960s amid declining ratings, only to be revived for a considerable run in the 1970s. The 1980s and 1990s were not particularly kind to panel shows and To Tell the Truth only ran for one season in each decade. While panel shows flailed on American television, they found continued success across the pond. (https://www.comedy.co.uk/tv/top/panel_shows/) airing on British television during 2017. ** These shows have provided a steady income to a rotating cast of British comedians, though personalities from other countries frequently appear as panelists. The most popular British panel shows include QI, Would I Lie to You?, 8 out of 10 Cats, and Nevermind the Buzzcocks. 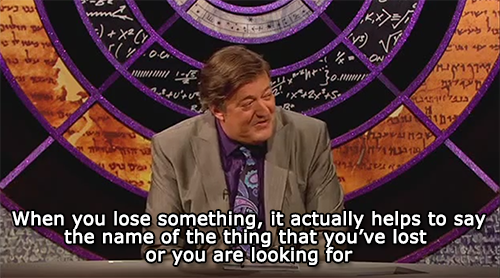 Former QI host Stephen Fry. Among the billions of hours of video available on YouTube are hundreds of episodes of British panel shows. While American panel shows are often more akin to game shows, their British counterparts are deeply rooted in parlor games. When combined with comedians thinking quickly on their feet, the result tends to be gut shaking television. To say the British appetite for panel shows is substantial compared to Americans is an understatement. Shows like To Tell the Truth or Whose Line Is It Anyway? occasionally grab the attention of American audiences. More than a dozen and a half panel shows air in any given year in Britain compared to the one or two produced in the U.S. This contrast is especially stark when considering the British television industry is approximately a tenth of the size of the American television industry. Though panel shows have faded from American television, they are still liked well enough to get the support of donors like you. The estimated weekly audience for the radio panel show Wait, Wait... Don’t Tell Me! on NPR, according to the Chicago Tribune. The show is frequently broadcast from Chicago though it travels throughout the year. In 2017, the show welcomed guest host Tom Hanks, among other celebrities to play its unique news quiz game. One, notably contrarian, American audience still has a deep appreciation of panel shows: public radio listeners. 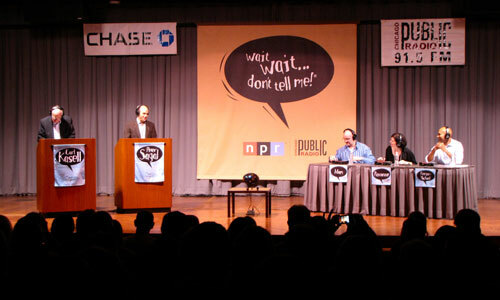 National Public Radio airs a few panel shows, such as Says You! and A Way With Words but their most popular is Wait, Wait… Don’t Tell Me! 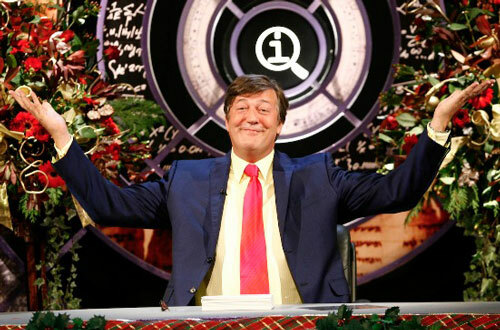 Who knows if American versions of QI or Would I Lie To You? would ever find an audience? There’s a reasonable chance they would end up like other American versions of British comedy. The Office worked, but The I.T. Crowd didn’t. 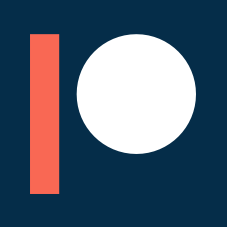 One under-the-radar attempt at revitalizing the American panel show started in 2013. Over four years, @midnight managed to last 600 episodes on Comedy Central. The show was hosted by Chris Hardwick and relied on a cast of fairly well known comedians giving joke answers to topical questions. Though hailed as “innovative”, @midnight never found a massive audience and Comedy Central pulled the plug in 2017. The most successful American panel show is unquestionably Whose Line Is It Anyway? which was adapted from a British show of the same name. The show aired on ABC for eight seasons from 1999 to 2007 but was brought back in 2013 on The CW. Whose Line is not a ratings juggernaut for The CW with the show reaching a little over one million viewers on average. Popular British panel shows, like Have I Got News For You, routinely attract closer to five million viewers per episode, according to the Broadcasters’ Audience Research Board. It’s easy to see the reason for ratings disparity. After a few days of watching clips of Lee Mack and David Mitchell trade barbs, British panel shows are best left in the hands of the Brits. Even if Whose Line has its moments. 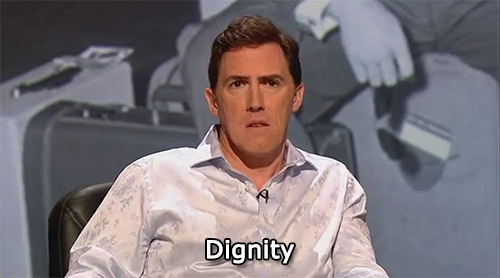 And now, my new life goal is to somehow trick David Mitchell on Would I Lie To You?.